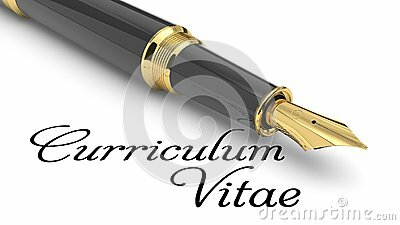 Curriculum Vitae handwritten with fountain pen. Curriculum vitae icon from Human resources collection. Cv concept resume with photo, documents. Employment recruitment. Searching professional staff. CV application. Selecting staff.